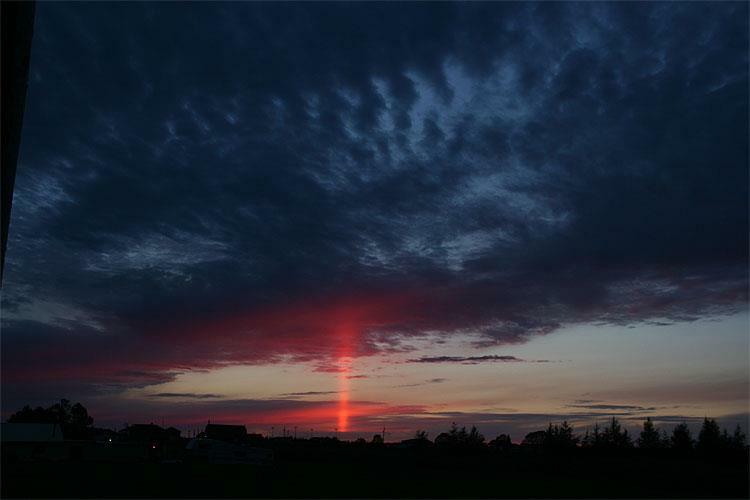 This amazing photo of an unusual pillar of light caused by the setting sun was taken by James C Wallace. It seems very appropriate as the time of the Winter Solstice draws close. He said: "I got lucky the other night and caught a beautiful sun pillar after sunset. Over the past weeks I have posted other beautiful photos taken by James, of berries and birds on frozen trees - and I'll be posting another lovely seasonal image next week. WOW! James is very lucky to have had his camera at that moment. I've seen these--didin't know what they were called--and knowing that you don't get to see them very often, was always moved when I saw them. This is a beautiful one and thank you for sharing it!